Consequently, it's easy to get caught up in paranoia. Is this bot account actually human? Is that joke account actually a corporate marketing effort? Am I being duped? Swindled? Hoaxed? Lied to? Into this environment @Dril wades, drops his jeans, and lets loose a turd. Dril is not a bot. Dril is not a human. Dril is a psychic Markov chain whose input is the American internet. 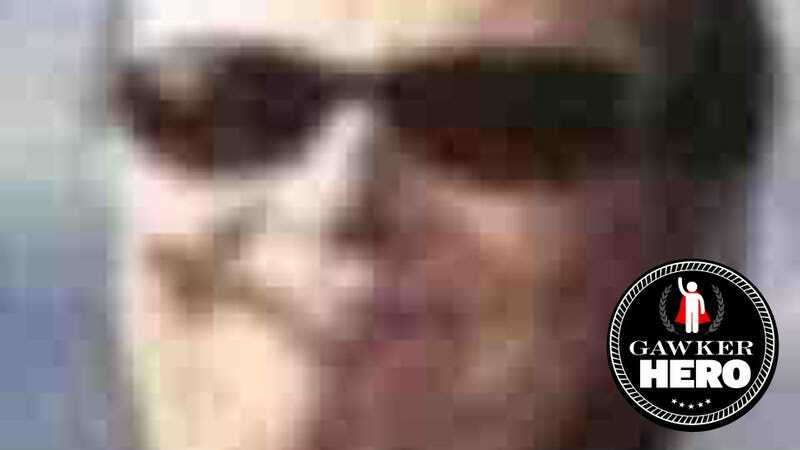 Dril is an intestine swollen with gas and incoherent politics and obscure signifiers and video-game memes and bile. Dril will not lie to you. Dril will not fool you. Dril is not a hoax. Dril is not a put-on. Dril is the only writer on the internet you can trust. More Gawker heroes: Ken Layne on Pope Francis, Hamilton Nolan on Subway Brie Man, Cord Jefferson on Vanessa Van Dyke, Rich Juzwiak on Kanye West, Camille Dodero on Antoinette Tuff, J.K. Trotter on Erik Wemple, Adam Weinstein on Alice Munro, Taylor Berman on Anthony Graves, Beejoli Shah on Shia LeBoeuf, Caity Weaver on Beyoncé Selfie Perfect Teen, Sam Biddle on Josh Tetrick, Lacey Donohue on Wendy Davis, Tom Scocca on Ai Weiwei, Max Read on @Dril, and John Cook on Rob Ford.